I hate to admit but those companies that are dying right now, I will miss them. HP is still one of the biggest PC manufacturer, but two years ago HP bought Palm for few million dollars to be part of Plam`s WebOS devices. The purchase was not a mistake as HP knew lot of good hardware designing and have done some Mobile development with Microsoft’s long dead Windows Phone 6 (Could be earlier versions). So where did they go wrong? After this fail HP went through some cleaning and hired new CEO. This CEO doesn’t seem to be qualified CEO as she was a former candidate for Californian Mayor. They need to refresh and clean up their line of Devices. I said devices, Yes, young folks HP makes phones Calculators and more than you think. HP has the ability to make better devices. Remember Android back in Dounut (for all you non-geeks out there it should be the HTC hero or G1 on T-Mobile), no one really expected android to be the market dominant Mobile OS. So if HP can redo WebOS well enough (I believe WedOS just needs few polishes here and there) HP can somewhat emulate Google. This is just sad, I kinda liked yahoo. They are gonna die because they have a deal with Microsoft to help Bing and eventually integrate into Bing. There is quick and dirty way RIM could do to save itself, Patent trolling. Research In Motion is one of these few original Mobile phone companies that has accumulated enough important patents that they can troll around with. In few weeks I will have one about Apple. I don’t really have problem with the service but with budget cuts in school I believe my school is wasting money with the service. The service depend on user submission and search results online. Well, by doing this weird experiment, I was able to conclude that turnitin.com’s algorithms are not wrong? This is a service many school pays a lot to catch plagiarism. A student just simulated plagiarism yet I haven’t been caught?? I wonder how many kids got away plagiarizing. I don’t know what to say any more aside from I should probably let school, turnitin.com and other places know my findings. What is your opinion on this ridiculous experiment?? Posted by H31Vry5 on May 21, 2012 in DrLuciferZ`s Post, Update =! Patents has always been big trouble factor in new technology. Within last few years there is increased amount of law suits by big patent giants like Motorola, Microsoft, Apple, and others. The only people who are rejoicing is the law firms in Seattle, Silicon Valley, New York and few other places. These law suits are not easy to follow and many juries and judges probably don’t know what they are dealing with. I find most of these patent infringement law suits to be just ridiculous. Last year, this patent trolling, as some journalists put it, started with Samsung Vs. Apple over in EU. The law suit is over who has the rights to lock screen. Ya Apple apparently hold the patent for “Unlocking a phone by dragging an image:, and Samsung made witty counter attacks with a scene from 2001 : A Space Odyssey. Both companies are still in courts, in Germany, although the initial ban of sales of Galaxy line of products has been lifted somewhat, its long way from settlements in any shape or form. Speaking of last year law suits. Google and Oracle is about half way or little less done with their case. Oracle has claimed that Google has used some of its Java APIs to create Android platform. Now to some this doesn’t seems important since the OS is written in Linux kernel, and Java Oracle has some jurisdiction over this OS, if and only if Android has used a part of API that is not for public use. 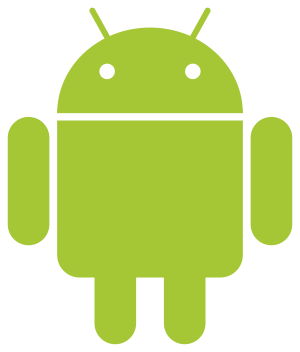 Today jury has decided that Google has infringed copy right protects Java API, but hasn’t decided on the damage Google caused by Android OS. All this trouble for 9 lines….. But I understand that Google is creating lot of revenues from Ads, Apps, Music, Books, and Movies that its selling through the Google Play store (formerly known as Android Market). Oracle would get a lot of settlement money from this law suit. These two are only major ones, I estimate about 5 to 10 more law suits that probably was behind door and settled quietly. This is no different, Motorola and Microsoft began the year with law suits. Motorola has claimed that its patent that allows Wi-Fi streaming has been infringed by Microsoft’s Windows 7 Media Center and XBOX 360. Now you might be asking yourself how did Motorola have these patents in first place? Motorola is not just failed Mobile device company, it also controls a lot of cable box that we use today. Just like most law suit Motorola and Microsoft is going to be like a cry baby in front of the court until they get tired and settle for few million pay out. These patent trolling isn’t helping new technology to emerge, because patents laws weren’t fitted out for this century. We need new laws to govern the emerging technology. patent can do that, but we need new laws to govern the use of patent and copy rights. Last Time I heard anything about reformation of Patent law was last summer, UK has worked on new patent laws to stop the trolling. P.S. – If these law suits are ridiculous enough for you. Hasbro (The owners of Transformer franchise, as far as I know or care) has sued Asus for naming its tablets Transformer, Transformer Prime, and Transformer Pad. I have no idea what is going on with these two companies, so leave a comment if you know anything about it. I’m too lazy to look it up.